iTunes Digital Copy movie files now show up under the Purchased tab of Apple TV and iOS devices and can be re-downloaded through iCloud. Apple teamed up with Twentieth Century Fox to introduce the iTunes Digital Copy format in 2008 as a way for studios to let consumers import a digital version of purchased DVD movies into iTunes. Support for the initiative has gradually swelled as more studios have come on board. In order to activate iTunes Digital Copy files, users insert the purchased physical media that includes a digital copy into a Mac or PC and then input a redemption code included with the DVD to import the file into iTunes. Following the release of updated software for the Apple TV earlier this week, Gabe Gagliano of Tech of the Hub discovered that some of his iTunes Digital Copy files automatically appeared in the Purchased section of his Apple TV and were available for streaming via iCloud. The media also appeared under the Purchased tab of the iTunes app on an iPhone. For now, Fox and Universal are reportedly unable to offer re-downloads and streaming of their movies because of a contractual obligation with HBO. Apple announced the expanded iTunes in the Cloud functionality for movies and TV episodes on Wednesday alongside the release of the new Apple TV and third-generation iPad. The company first unveiled its iTunes in the Cloud feature last June as a precursor to the full-fledged iCloud service. The feature initially allowed music purchased through iTunes and apps downloaded from the App Store to be easily re-downloaded to authorized devices. 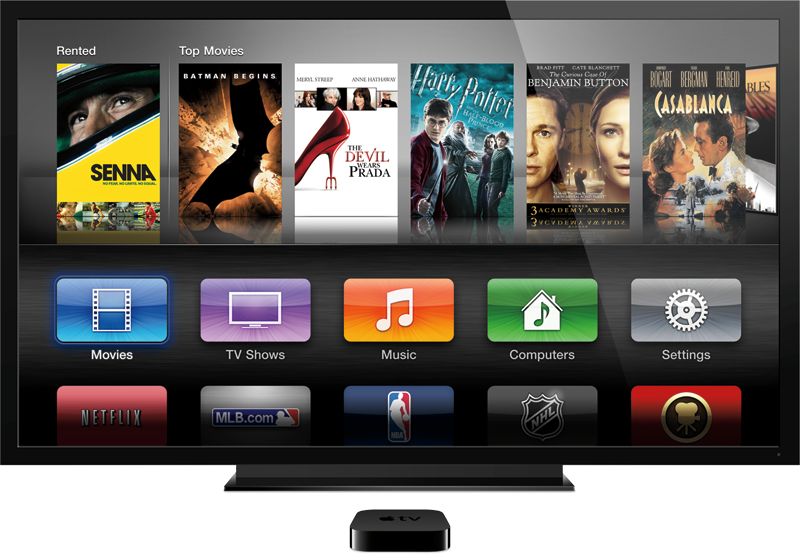 The new Apple TV adds support for new 1080p iTunes content. According to one analysis, Apple is utilizing new High profile H.264 compression in order to reduce the storage footprint of the new 1080p videos. The most recent versions of Apple's iOS and Apple TV devices include support for High profile decompression.